comScore has a new report on the state of mobile. 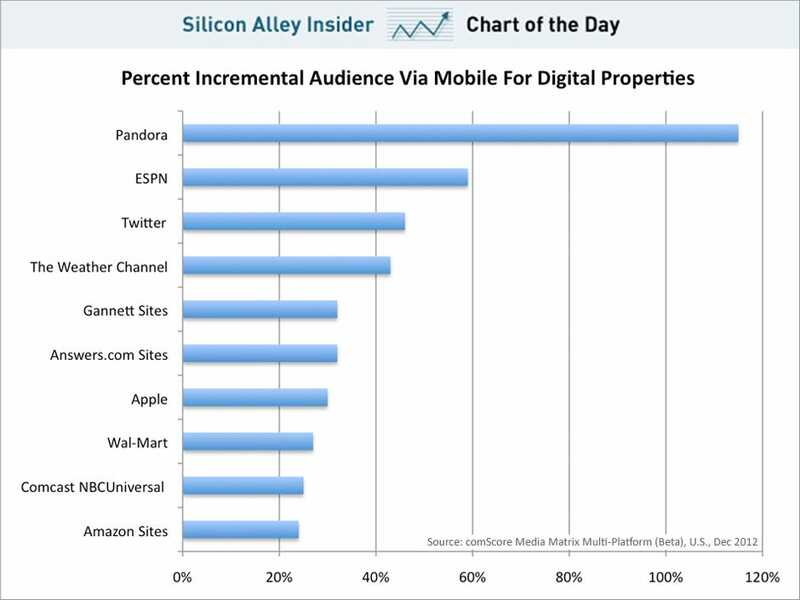 In it, it reports which sites are getting “incremental” mobile users compared to the desktop. 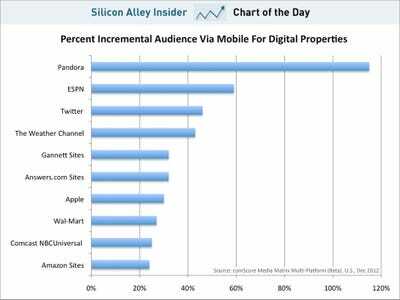 For comScore, an incremental user is one that is coming exclusively to mobile and not via the PC. In other words, it’s an entirely new user. We’ve charted out the sites that are gaining the biggest number of mobile only users.